I’ve managed to create my first CC (get it here) and I was asked by a friend, how I did it, because he wanted to make custom paintings too. So I thought I’d make this simple tutorial.As this tutorial is really picture heavy, I’ve also prepared a pdf version of it, that you can download and view on your computer. Get it HERE. Graphic program able to edit dds files. There are plugins to do it for gimp and photoshop, but I use paint.net, because it’s so simple and intuitive, that it makes the whole process a lot easier. Picture you want to have as the custom painting. Best to use your own creation. Ok, so first install paint.net and TSR Workshop. Once you have them up and running, open TSRW and click “Create a new project”. Than click on the “object” icon and hit Next. From the list on the left choose Decor/Paintings and posters. It may take some time depending on the number of the EPs/SPs and CC you have installed in your game. Pick a one that is most similar to the picture you’d like to create. It’s best to choose a base game object, to make sure it will work in everyone’s game. Then hit next. 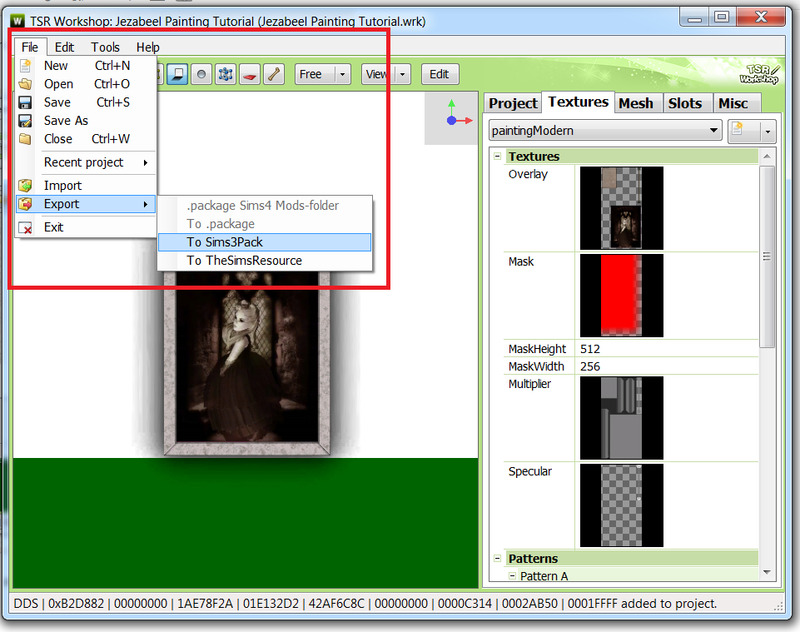 On the next page choose the name for TSRW project and the Title and description for your objects. You can change them later, but remember to make the title unique. Leave the option on the bottom unticked. Hit next and then on on the following screen. 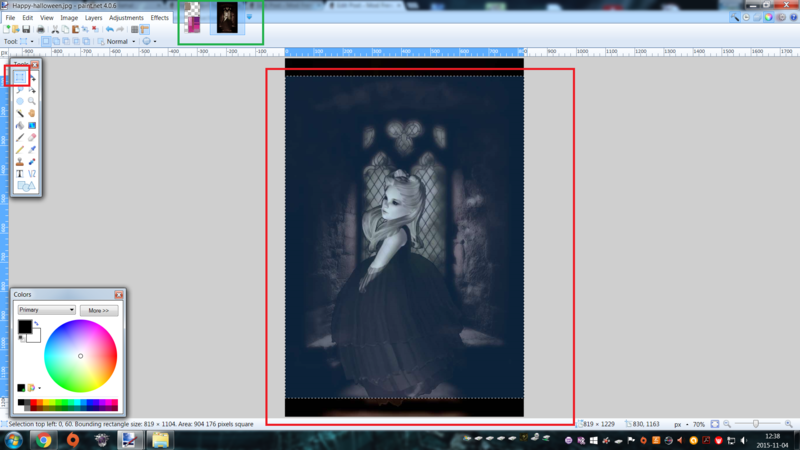 You’ll get to the actual editing screen of the painting. On the right you’ll see some tabs – for the purpose of creating painting, you’ll be using only the first two: Project and Textures. The name and description, that will be visible in game. 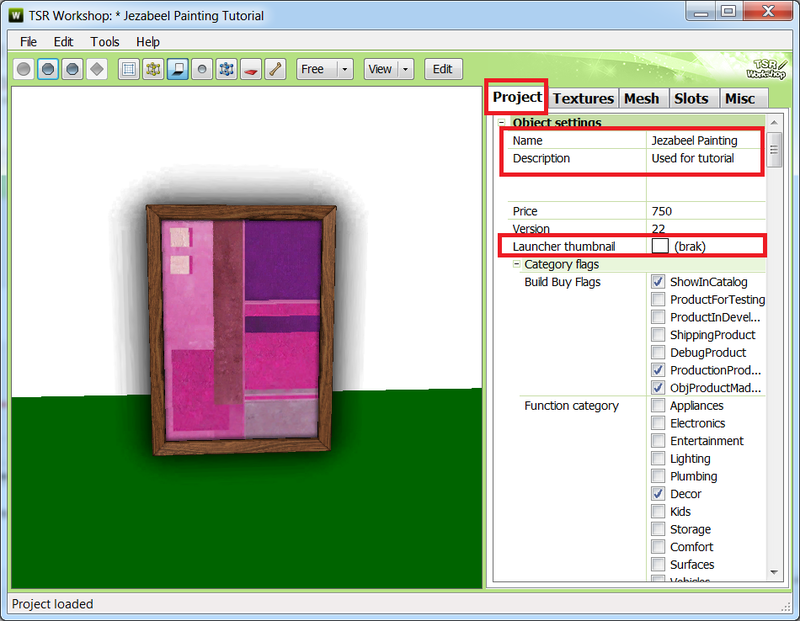 The price of the object and categories the painting will be shown in game. The launcher thumbnail, so it’s easier for the users to install it via Launcher. For the thumbnail you need a picture that is 64×64 pixels png. Just upload it into TSRW. Then go to the Textures tab – that’s where all the magic is done. Once in there, choose Overlay and hit Edit button. You’ll get the window with the view of the texture. Just hit the Export button in the upper right corner. Choose the name for the file and the place to save it. Don’t change the file type. 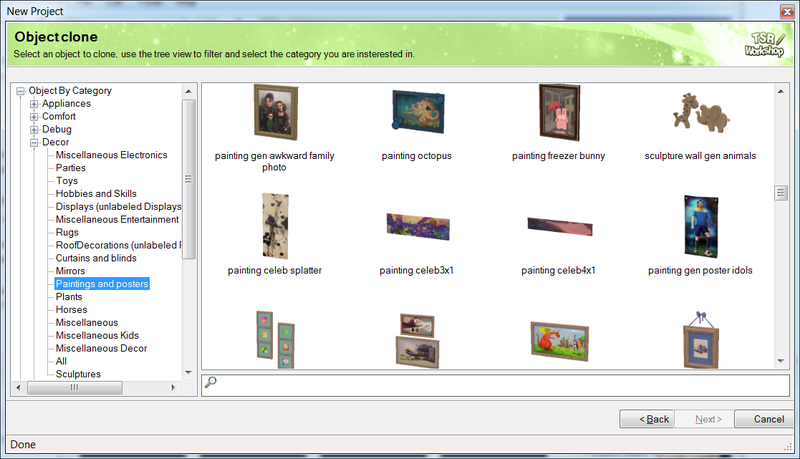 Now open paint.net and choose open file – browse to the file you’ve just exported. You should see the texture file you exported. 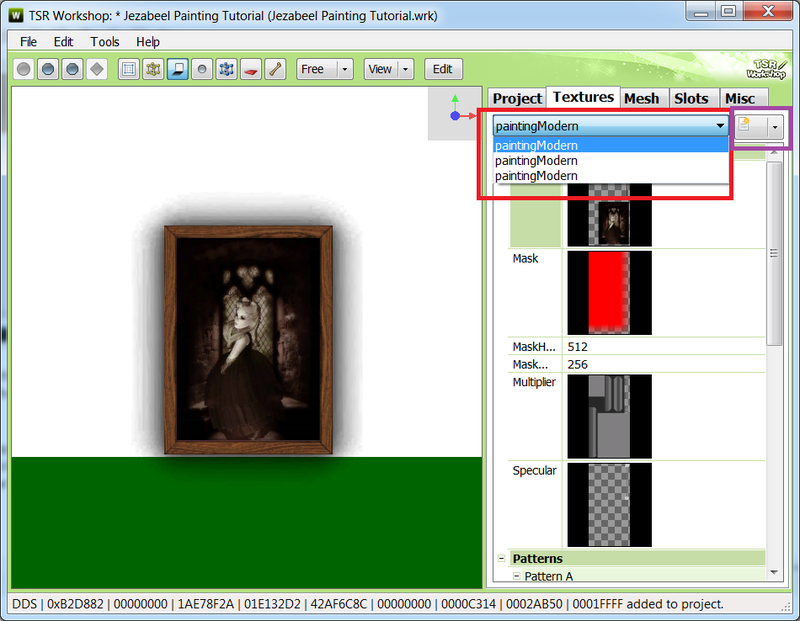 Open the folder where you have the picture you want to turn into the custom painting and drag it onto the paint.net screen. 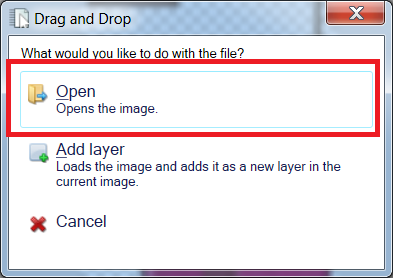 You’ll get a message box asking you what to do with the image – choose Open. 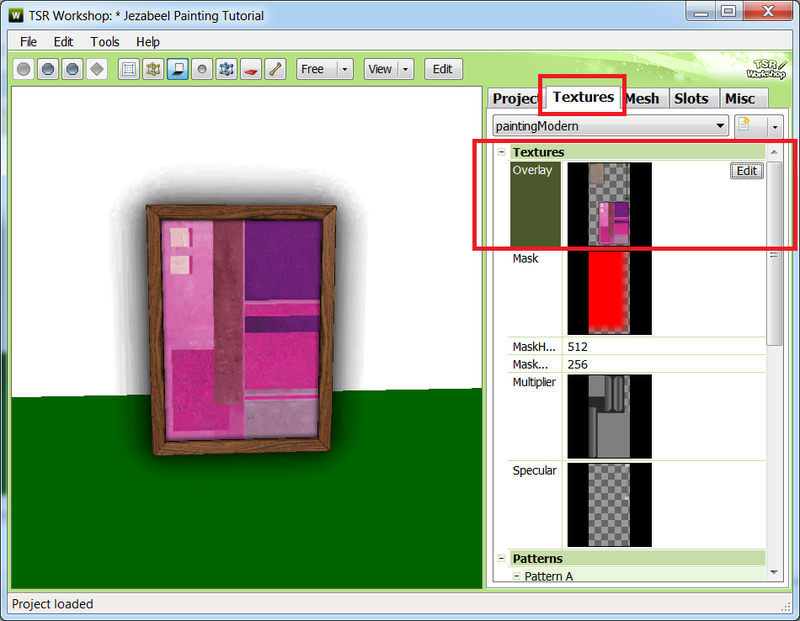 When the image is open, using the Rectangle Select from the tools menu select the portion of the image you want to be your painting, keeping in mind the shape of the painting. 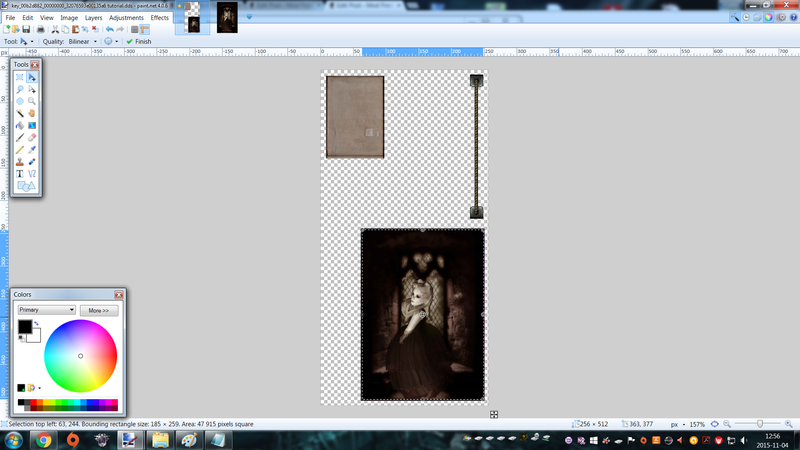 Press CTRL+C to copy the image, and then switch the tab to the image with the textures. 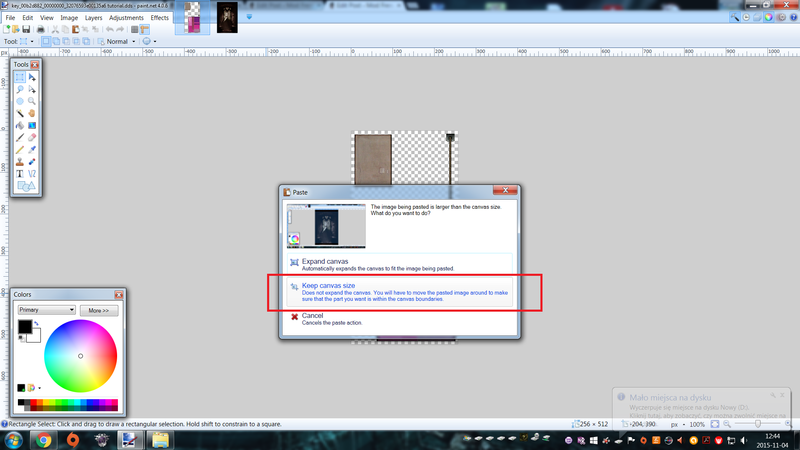 On the texture picture press CTRL+V to paste the image, and in the dialogue box that appears choose “Keep canvas size”. 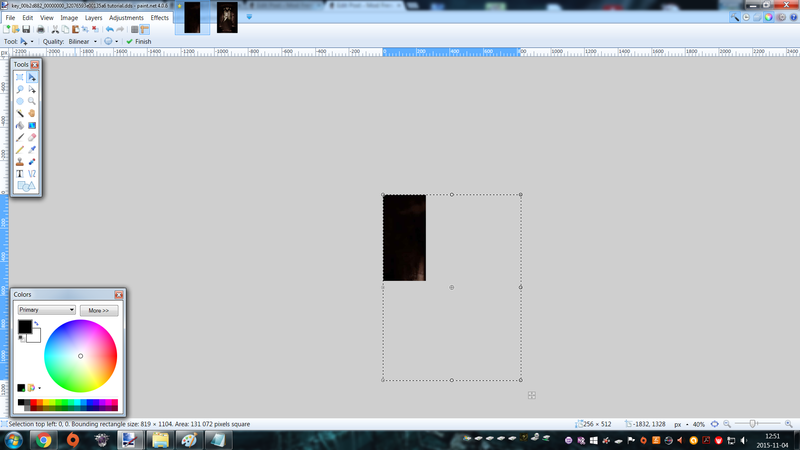 So just resize your image to fit the size of the texture picture. When you’re done, save the picture as the Direct Draw Surface file (just remember where you saved it, because you’ll need it in the next step). In the dialogue box that appears next don’t change anything. 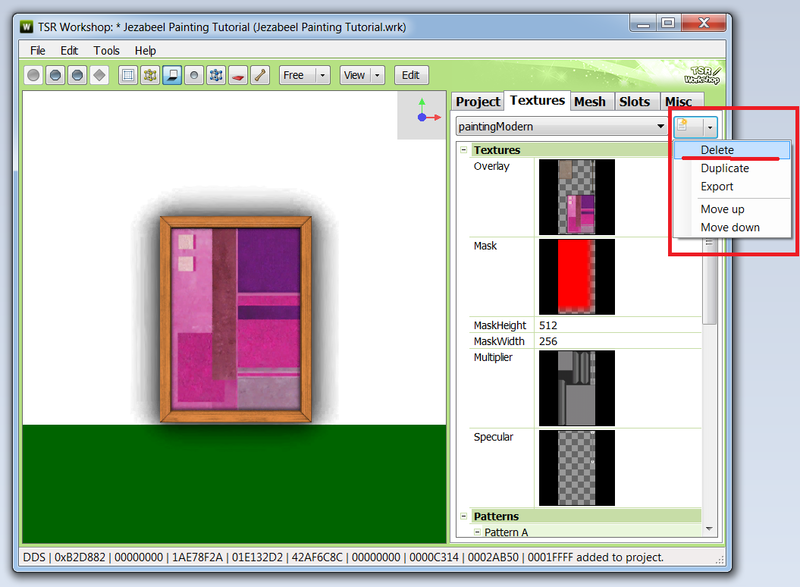 Now, open your project in TSR Workshop and go to the textures tab, choose overlay and click edit. In the window that opens, click Import in the right upper corner. 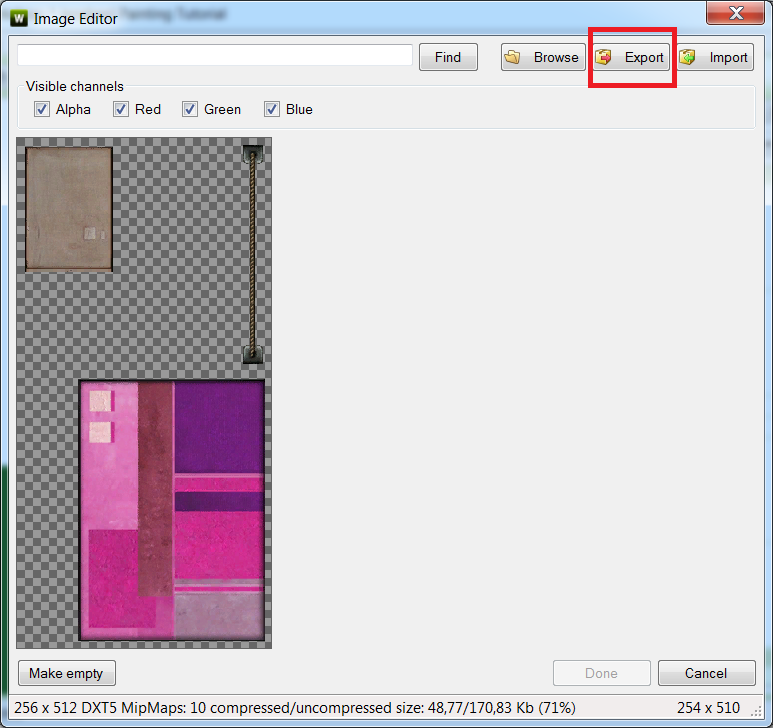 Navigate to your modified texture picture and click “Done”. Now, your picture should appear in the preview window. Ususally, every picture has several variations. To modify them all, or to delete some of them, or to add a fiew more, you can use the dropbpox with the name of the painting, that allows you to choose specific variation. On the right from this dropbox, there is a second one, that allows you to Add and delete variations. It also lets you duplicate the existing one. For the purpose of this tutorial, I will simply delete all other variations. 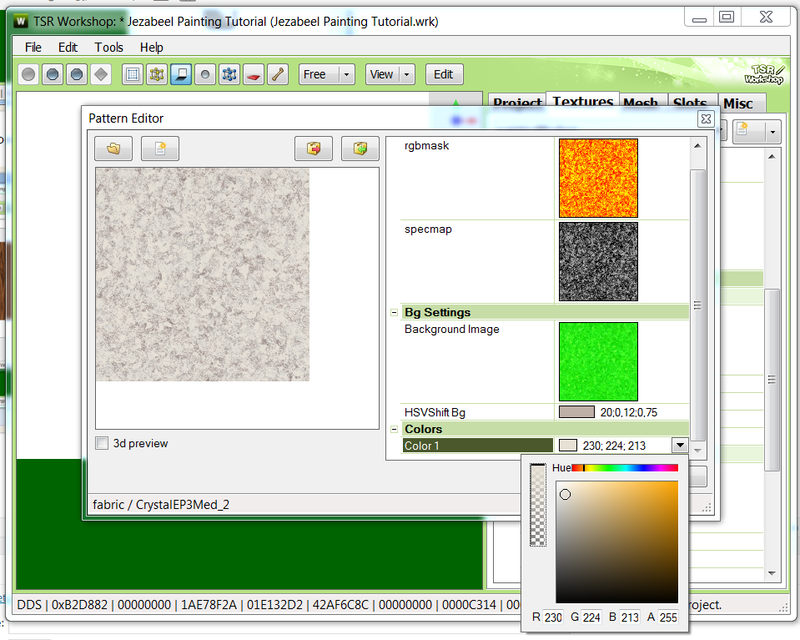 Now, you can choose the default pattern and colors for the recolorable parts of your painting. Simply choose pattern from the right hand menu and click edit. In the new window that apperas choose the pattern you like and click Done. 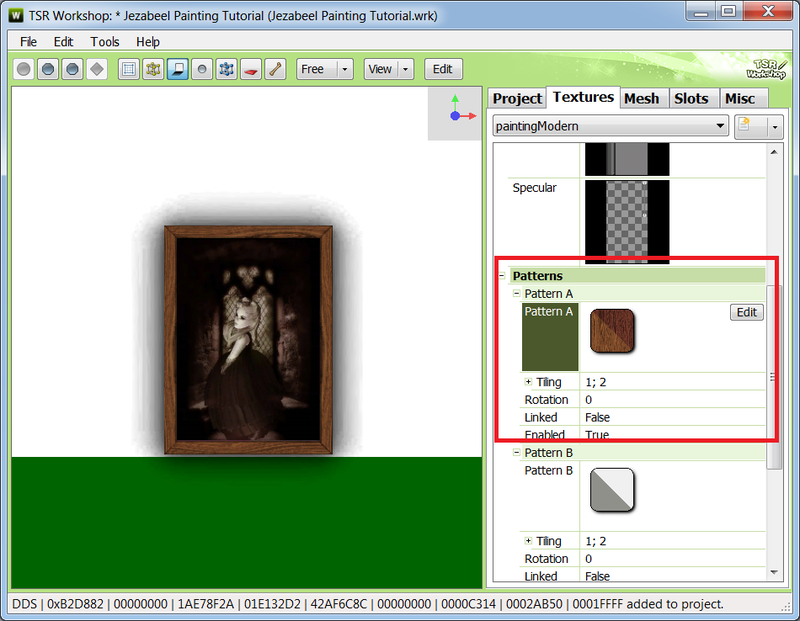 In the pattern editor window you can also choose the default colors to be used with this pattern on your painting. Now just name your Sims 3 Pack and it is ready to be installed in your game like any other sims3pack. However, if you’re anything like me, you probably already have so much cc in your game, that the Launcher won’t show it all, so if anything goes wrong with the sims3pack you created, or you just want to modify it, there may be no sensible way of doing this. So, to go around this problem and still be able to play test my work, I just convert my sims3packs to packages first. 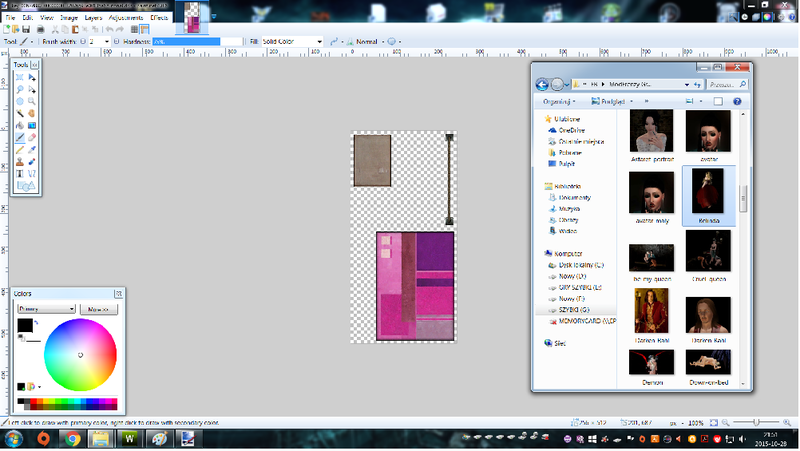 To do this, I use Delphy’s Sims 3 Pack Multi-Extracter. 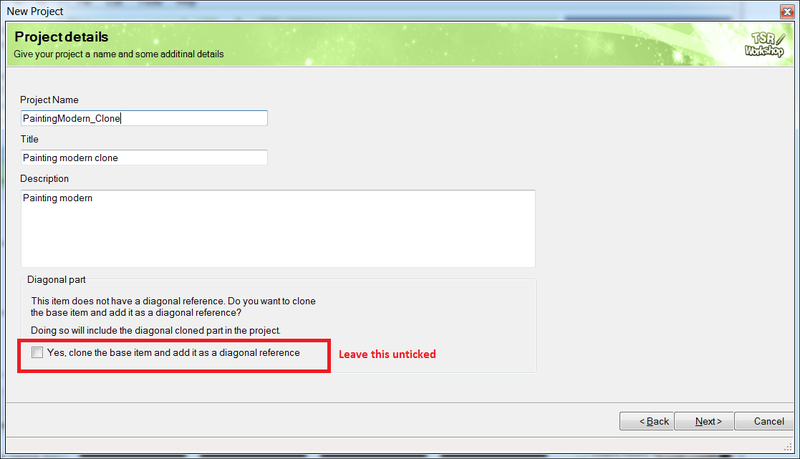 Just follow the instructions from the link and you’ll get the package file, that you can put into your Mods folder. This way you can easily playtest it, and if you want to change it or remove from your game, you just delete it from the Mods folder. Plus, if you want to share your work, you can offer it in sims3 packs and packages, so the people can choose the format they like best. When I’m doing this, the only paintings I can clone are from the base game. How can I clone paintings from expansion packs which I have? As far as I remember you need to add every expansion you wnt to use in TSR Workshop. Great tutorial! 🙂 I have a question. Some paintings don’t have textures, how do I export them? I think you are speaking about som edeco things in game that have no textures atteched to them visibly. As far as I rememeber they have textures in some common textures folder in the game files, so in order to modify them you would need to change those textures. Thus they are not norlammy used for cloning and making custom paintings via swapping textures.